Trying to make it back then was not unlike trying to make it now. Except major labels pretty much controlled everything. Few bands had the chutzpah, the expertise and the bucks to make it. Well, make it big. A lot of them made it to the crest, you see, but like Sisyphus, most rolled back down the hill. And only a small portion of them regrouped for that trek back up. 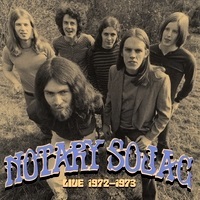 The band name is Notary Sojac and I will have a tendency to want to refer to them as Sojac, but I can’t. Because, technically, they weren’t. Sojac was the offsplit of NS (there, that should be a good substitute), the band which stepped into an other dimension entirely after NS finished its run. When was that? 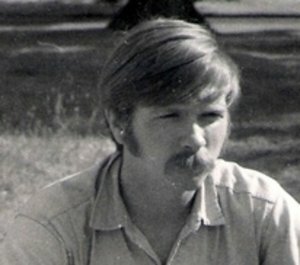 1974? God, but that seems like a century ago. Funny thing is, I feel the same sinking in my stomach today that I felt when I heard that the band had split back then. I loved those guys. Alongside Sand and Providence, they were the best Oregon had. For a moment, it felt like the end of the world. But just for a moment. Why did they crack me up? They were clowns! On and off the stage, they were the Keystone Cops of rock. They never stopped talking and moving and laughing (except when it was inappropriate). They ran with scissors, though they were of the snub-nosed variety. They made everyone listening feel like they knew them personally and that the music was for them. And the laughter didn’t stop with the jokes. When they played, they were so good that once in awhile you had to laugh, involuntary though it might have been. “I remember the first time I saw Notary Sojac perform,” I wrote years later. “It was at a Rainier Sunbust at Eugene’s Skinner’s Butte Park (Rainier Beer did music lovers a great favor in the early seventies, sponsoring free concerts at various outdoor venues) and one could not have asked for a better day. The sun was shining, the gathering was mellow and the opening band, Sand (another Pac NW music phenomenon) had just laid down a great set of originals. The response was lukewarm and I wondered why, because Sand had played their asses off. Of course, the crowd was young and of the (shall we say) vegetarian bent. My injured hands (swollen from clapping— I thought Sand rocked!) recovered whilst equipment moved on and off the stage and Sand morphed from the tactile to the memorial, replaced by a band of longhaired gnomes dressed in clean but worn castoffs, much like their equipment. Amps were stacked and drums and keyboards slid into place, mics plugged in and guitars placed here and there amongst the mess slowly taking shape. Loud zaps zonked the eardrums as instruments and mics took their first breaths after being awhile in suspended animation. “A ragtag bunch they were, seemingly deposited on stage by some jester ridding himself of finger puppets of a hippie variety. The Brothers Koski tested mics during tuning and warmups, acting more like Top 40 disc jockeys than rockers, saying anything and everything to and toward each other until each mic proved worthy. Then a short intro and, voila!, the Sojac Miracle! Music to rival the gods, they might have said at the turn of the century, but that day it was to rival The Dead and The Allmans and any other band you would care to mention. From that moment on, I was a fan! “To the left was a tall afro’d Tom McMeekan, strangling the neck of his guitar in hand-to-music combat, right hand flailing his only weapon (a pick), sometimes so wildly that one wondered how he could hit the right strings (mostly, he did) and later coaxing the guitar into floating melody or ethereal harmony (dual leads were one of the bands specialties). Next to him was Steve Koski, head keeping time like a bobblehead doll whose spring had broken, face twisting and contorting as it helped squeeze just the right sounds from the string-to-pickup-to-amp circuit. Doug Ness, hidden behind a rack of drums, paradiddled and syncopated between solid thwacks of the bass drum, making up for his imprisoned stature with the power of the beat which Jim Lowry, to the right, helped enforce. Lowry, hair hanging limp way past shoulders, thrumbed his bass with an intelligence beyond the music itself and stayed content in the circle made of his own sound. 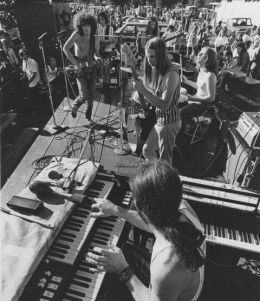 Will Herold, tied to the Hammond B-3 which hid him from a portion of the crowd, made up for lack of body motion with hands which turned chords to gold and took you from high to higher and, as in the case of the bridge in Carolina, ripped heads off and made us laugh. And Bob? Bob Koski was voice and humor and heart all in one. What he lacked in voice he made up for in obvious love of music and it soon became evident that his and his voice only could fit that music. And if that wasn’t enough, he danced and laughed and flauted his way through one great original after another. Yes, the songs were all originals (note: mostly, I found out later) and all I could think was, man, these guys could play with anyone, anywhere! Timing is everything. I was fresh out of the Army and there had been turned on to The Allman Brothers who jumped to the top of my man-am-I-impressed list with that first self-titled album. Imagine my surprise when, sometime during that set at Skinner’s Butte, NS started a song with a slow but quickly speeding up version of a song titled Carolina, the dual and dueling guitars a mirror of what I might have expected from the Allmans. About three-quarters of the way through, on top of a strolling bass/drum line, Bob Koski took the lead, laying down a guitar line that brother Steve and McMeekan dueled over, the leads an harmonious wail to Bob’s basic flat sound. The guitars eventually gave way to the screaming magic of Herold’s B-3. I knew at that moment that the Hammond B-3 was an instrument of the gods and made just for moments like that. After the jam, the band fell into a somewhat disjointed formation to tie up loose ends, as it were, and the song ended, Grateful Dead-style, frayed at the end(s). I will not lie to you. That day altered my life. Every bit as much as The Beatles on Ed Sullivan did to others, NS carried me beyond lines I did not yet recognize. I suppose the music was not new, but the musical style was. They bounced from honky country to blues to jazz to jams and I don’t know what-all. They rocked and they rolled right back again and just when you thought they might be done, they rocked and rolled again. 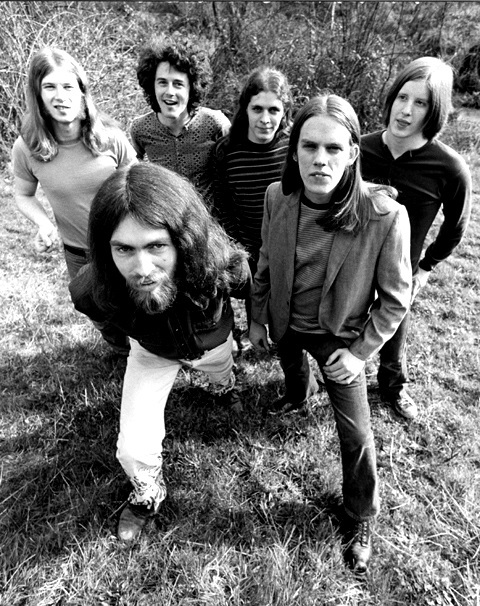 I came to find out later that the band had been together for a few years at that point and had played on bills with The Grateful Dead and The Mothers of Invention and somewhere along the line would open for Climax Blues Band and Charlie Musselwhite, among others. Toward the end of what we all have come to know as Phase I (Phase II would be the band Sojac, as mentioned earlier), they decided they wanted to record an album and put out feelers. They went so far as to solicit money from fans, a very early form of crowdsourcing as it is known today. I myself handed over about ten to twenty bucks, the projected sale price being either $2 or $2.50 (I don’t have my notes in front of me to check and am too damn lazy to try to find them). The band went into Tioga Studios down around Coos Bay, Oregon and did record an album, but it was never released. Until now. But before we get to that, let me share what I wrote about their recordings a couple of years ago. Pardon the style. I am lifting this from another webpage. “Notary Sojac. Never heard of them? Get in line. 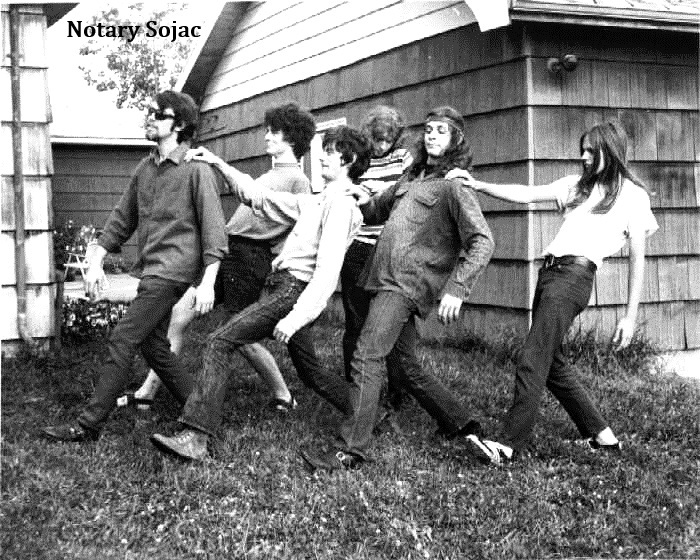 I could throw another few hundred band names and few would stick on most people’s walls, but none were more obscure to the world nor as adventurous nor better than Notary Sojac. 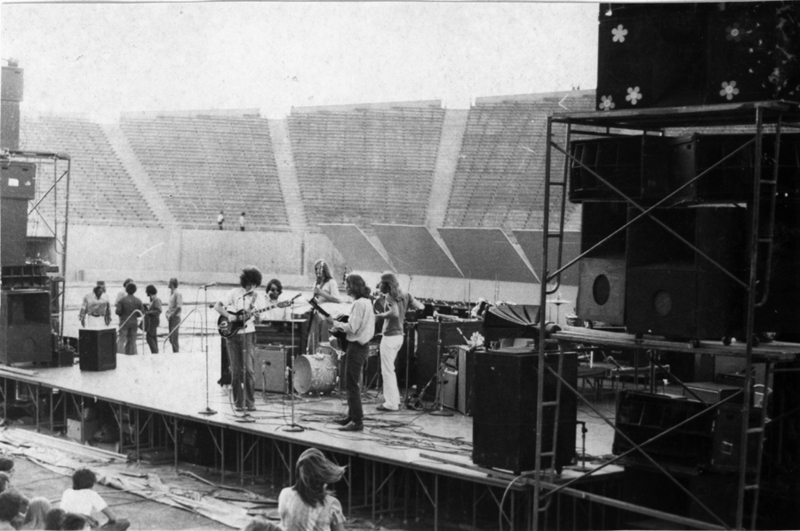 They were a landmark band, one which defined an era for myself and a handful of others— others lucky enough to live in the Pacific Northwest in the late sixties and early seventies and lucky enough to have crossed paths with them. They were something else. They were special. “They became Sojac, the name used by everyone who knew them and their music, and please don’t confuse it with the later version of the band actually named Sojac. You saw them once, you called them Notary Sojac. Twice, Notary Sojac. By the third time, they became Sojac out of necessity or maybe laziness because after the second time, they became an automatic topic of conversation. It was a show of respect, I guess. It was a rite of passage. The Rolling Stones became The Stones. Led Zeppelin became Zeppelin. Notary Sojac became Sojac. Simple as that. “Why do I bring them up now? Well, lately I have been doing a lot of thinking about the importance of indie music— real indie music and not that called indie by the monied structure of the music business. I well remember the days when if you wanted to record and press an album, you overpaid (no quantity discounts for the little guy) and consigned (no distribution and few record stores would pay up front for a local or regional act which might not sell at all). The few bands going that far ended up selling more off the stage at gigs than in any store anyway, if they sold to anyone at all beyond family and friends. Bands were hogtied, and the few which weren’t ended up calling in favors they could never repay. Just ask the members of Portland’s Sand, who after a long ride down a bumpy road with Andy Williams’ Barnaby label pressed their second by themselves (Head In the Sand, Ostrich 0001, 1976) and ended up making their way around stacks of boxes for the next few months to years until Jack Meussdorffer decided he’d had enough and just trashed them. Lack of sales had nothing to do with the quality of the record (I personally loved it) but the problem of how to sell it. “Well, even real fans of Notary Sojac might be surprised to hear that they had also recorded an album. Toward the end of their existence as that band and just before a few of the members moved on to a more jazzy and arty lineup they labeled Sojac, they headed down to Tioga Studios (outside of Coos Bay somewhere on the Oregon Coast) and laid down a number of tracks. The Notary classics. Feel It (In Your Heart) and Willy Nilly and Bumpy Road and maybe even their signature tune, Carolina. They put ads of sorts in their little newsletter (Point of View), an early version of having your fans pay your way through the process, and I bought more than a handful hoping for the best. Of course, it didn’t happen. Or should I say it hasn’t happened yet. “Amazingly enough, the members of NS reconnected a handful of years ago and sonofagun if they didn’t piece together an album of live tracks culled from raw recordings they had made in the clubs in the early seventies. It is raw, yes (many of the recordings were from nothing but a basic tape deck and two mics hung from the ceiling of The Roman Forum, their old tavern haunt), and the quality is relatively poor (they did a great job of cleaning the tapes up for this release, though), but it is Notary Sojac in the buff and man, oh man, is it worth it for the fan! 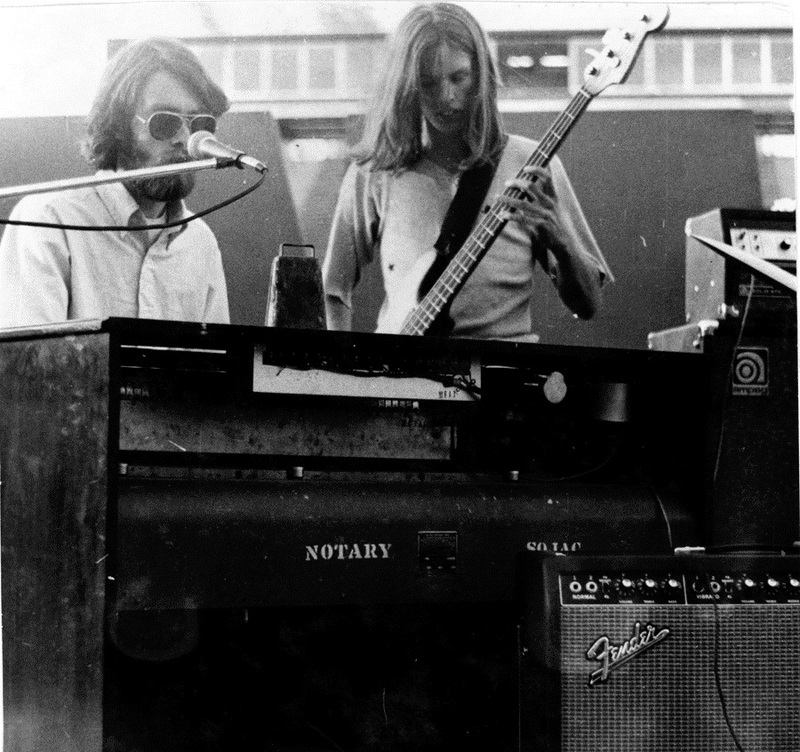 Titled Live 1972-1973, it captures not only the loose structure of the band on the whole (they had the looseness of the Dead) but the moments when it all came together— the Maxell Man moments when the band was all on the same page, in unison, and the audience hair was blowing. “Ah, but my point. Steve Koski and cohorts have decided that if the double live CD sells well enough, they will work on releasing the Tioga tracks— the only real in-studio tracks ever recorded by the band. Am I pumped? Better believe it. “So why call this The Band That Would Be Sojac, you ask? (Note: That was the title under which this was posted) In my quest for the story that is the band’s, I have run across a gold mine of information about the guys, their friends and followers and families and their journey toward Sojacdom. I have been handed information I did not know existed and sometime soon want to share it. If you want to know about Notary Sojac, you also have to know about The Wild Wild Weeds who morphed into The Weeds and then Weeden. You have to know about The Quirks and Faith and a whole list of people and bands whose paths led from Boise to Portland and the forming of one of the best bands I’ve ever heard, live. And here’s the crux of this reprint. They have done it. Yep. The members of Notary Sojac (and that would include a few people who were not in the actual band but who were family, regardless) have released their one and only studio album. Titled Feel It In Your Heart / The Tioga Sessions (1974), it hit the shelves at CDBaby just this past week. Is it any good? Don’t bother asking a Sojac fan. We waited forty years. Of course it is good, to us. We saw NS play the songs live and it made impression enough that most of us can still sing or air-guitar many if not all of the tracks. Here is the link. Sample a few. Start with Getting Down To Business. Feel It (In Your Heart). Hell, start anywhere you like. Just be aware that if you’ve not heard them before, you’re forty years behind. Apologies for the column bouncing around like it does. NS caught me somewhat by surprise. I promised them a piece on the history of the band and I have a mountain of emails and notes from three fairly lengthy interviews scattered about the house and I have not even completed my piece on The Boys From Lakes Charles, Research Turtles. Turtles first, and soon. I pushed aside a couple of partially finished columns to make room for this because the album, in digital form only, was fast-tracked to CDBaby. I wanted to get the word out. You will hear about them more, trust me. As I go through the notes, I will find lots of things to relate. Like how the band latched on to juggler Drippy Moon to open shows for them. 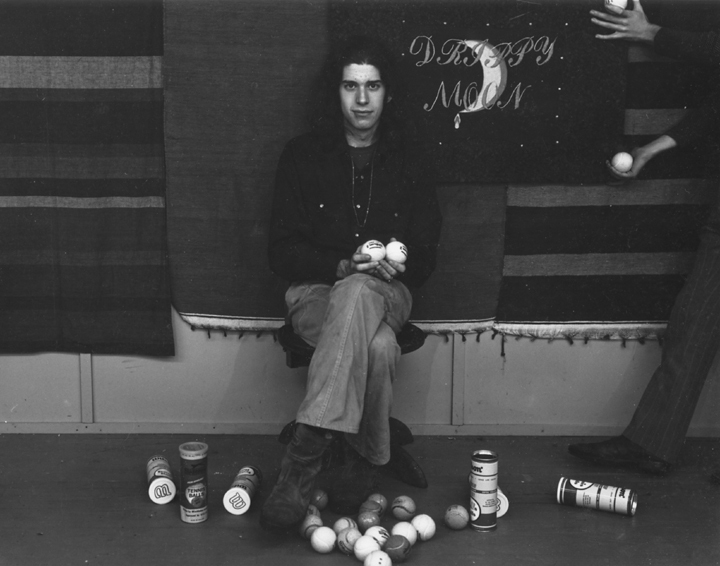 Drippy would later change his name to Chris Bliss, would become a full-fledged juggler and comedian and would open shows for both Leo Kottke and Michael Jackson. (Watch Chris juggle to the music of The Beatles here) Like how NS and Sand teamed up for a tag-team concert at the end of which both bands took the stage together. Like how the band, as good as they were, missed the opportunity to record that elusive major label album. Like why the original lineup morphed into Sojac, less band and more orchestra, and how a couple of other lineups came together at the same time. Yeah, you poor bastards are in for it. Notary Sojac hath been unleashed from its chain. It’s time to chronicle the legend. 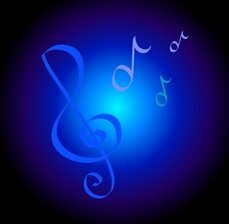 Now, it is time for…..
Notes….. Forgive my step toward film here, but it is a film about music. Music and culture and family and a whole string of things which make life worth living without the interference of conservative asshats who are more into isolating this country than enjoying what is is. There is this film, see, and they need a bit of money to finish it. It is a film about one culture split by a border— how people in both the US and Mexico rely upon one another and why putting up walls and checkpoints defeats life’s purpose. Just take a look at the clip and then do what you think is right. You can view the clip here***** Too late for last week’s column: Hannah Miller who knocked a lot of us out with last year’s (or maybe it was even the year before) O Black River is back with four new tracks (nine total) on vinyl! Very cool. Take a trip over to her Bandcamp page and listen, then buy! This lady writes and sings beautifully. Click here***** Also, The Walkabouts‘ Terri Moeller (Terri Tarantula) just posted this brand spankin’ new demo track. More somnambulant magic from Ms. Tarantula. Hopefully, a new album by Fall? Click here to listen***** Speaking of Moeller, she just this morning posted a video of Dirtmusic, a new project out of Europe headed by fellow Walkabout Chris Eckman. Gary Heffern has been pumping his jets about them for a couple of weeks now and he and Moeller spurred me to listen. I watched this video of the making of the album and have to say that I am damn impressed. If the album is anything as represented in the video, I think it will be one of my favorites of the year. That’s Dirtmusic on Glitterbeat Records. Watch here***** It ain’t out yet but will be soon. Seattle musician and philosopher Gary Minkler is just about ready to step onto the stage once again with his new album, Little Trailer Ruby. Minkler used to zap us with shows which were as much art theater soccer games as music, at times. I can remember standing outside The Rainbow Tavern one night in the rain, watching Minkler act out I Like To Eat My Mouses Raw with twists and contortions worthy of a gymnast. Truth is, I’m anxious for this one. With Minkler, you never know what you’re going to get but you know he’ll push the envelope here and there. Like here on the Red Dress 45 (watch and listen here). 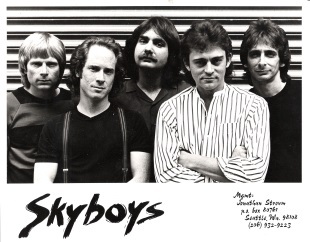 Here is a link to his blog so you can follow his progress***** And for those who lived in Seattle during the seventies, I have finally made contact with Tom Kell of Skyboys fame and hope to find the other members of that band as well. Be looking for a retrospective through their eyes. Hot damn! That’s going to be a fun one. This entry was posted on May 28, 2013 at 4:21 pm and is filed under Opinion with tags bob koski, chris bliss, chris eckman, DBAWIS, dirtmusic, Don't Believe a Word I Say, doug ness, drippy moon, Frank Gutch Jr., gary heffern, gary minkler, hannah miller, Indie Artists, Indie Music, jim lowry, little trailer ruby, music, Notary Sojac, Providence, rainier sunbust, Records, red dress, Sand, Skyboys, steve koski, terri moeller, Terri Tarantula, The Pacific Northwest, the quirks, the weeds, tioga sessions, tom kell, tom mckmeekan, weeden, will herold. You can follow any responses to this entry through the RSS 2.0 feed. You can leave a response, or trackback from your own site. Excellent and informative article about Notary Sojac by Mr. Gutch. As a record collector, I have referred to his band write-ups many times for information about NW bands. 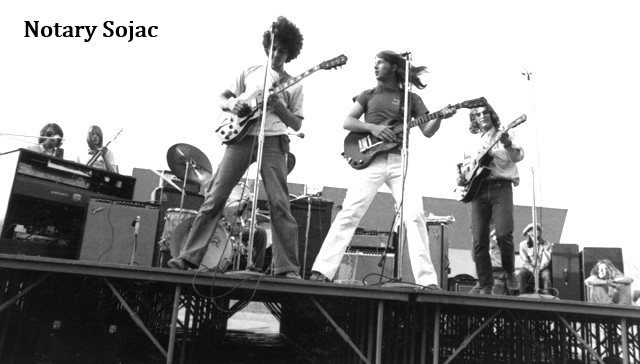 I saw Notary Sojac in 1970 at the Portland Civic Stadium at the Portland Music and Art Fair, great band. They were every bit as good as the nationally known acts that performed that day. I also saw the Warloks in the late 60’s, another great band featuring the Koski brothers.